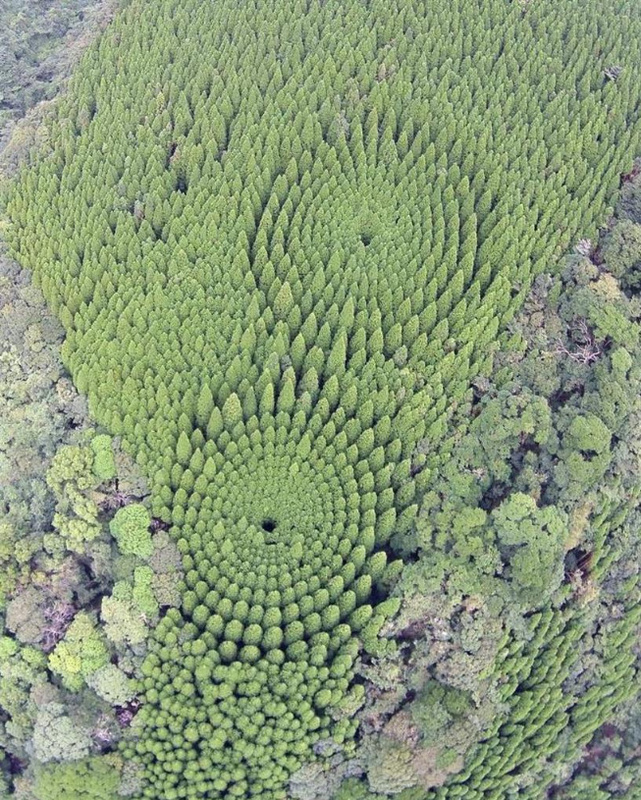 According to documentation (PDF) we obtained from Japan’s Ministry of Agriculture, Forestry and Fisheries, in 1973 an area of land near Nichinan City was designated as “experimental forestry” and one of the experiments was to try and measure the effect of tree spacing on growth. The experiment was carried out by planting trees in 10 degree radial increments forming10 concentric circles of varying diameters. Below is an image from Google Earth, which is unfortunately a bit dark.